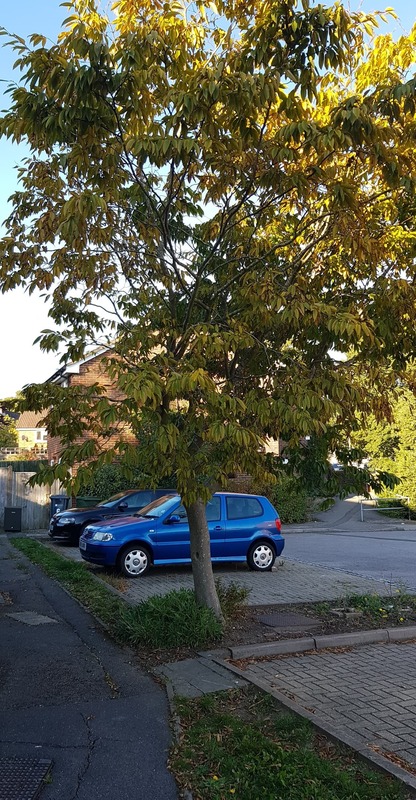 I need to know the species of this tree as I am studying at college and need to be able to recognise trees, and I guess the trees near me would be a good start. The leaves are elliptical, serrate and alternate. 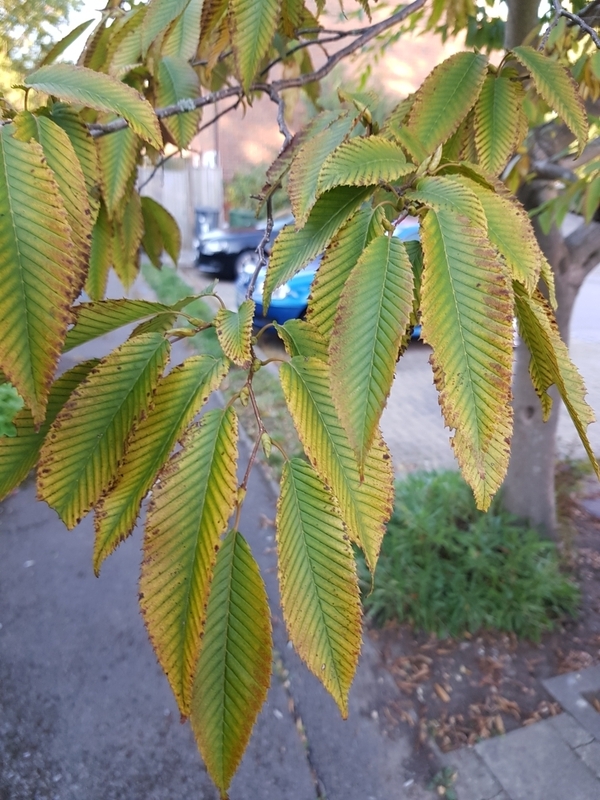 I have been thinking it's an ash tree but the leaves are way off, what is it ? My location is the south of England near London. Judging from the leaves and how they are grouped on the branch, I would say it is Castanea sativa which is known as the sweet chestnut. However, fruits (the chestnuts and their husks) can be useful for proper ID, so also a close up of the bark. The fruits of this tree are edible (mostly roasted), but I have been told that wood was used of these trees for poles (or fire wood logs). What they did in the past, was to cut down a large tree, and out of the roots many new shoots (small trunks) would grow. These new shoots are usually very straight and ideal for poles, and cut every ten years or so (also known as coppicing). The Castanea genus is part of the Fagaceae family, which also includes oaks and beech (see wiki). What are some reasons that our apple tree has no apples? Can you tell if a tree stump is dead or alive? What is this seed pod and heartwood, maybe Ash? What is this ornamental tree with coarsely serrated leaves? Can I get a productive nut tree in the north of England?